Matt Patricia is the latest ex-assistant with his own team, and may be destined for mediocrity. DETROIT — Bill Belichick is arguably the best coach in the history of football. But he is more Vince Lombardi than Bill Walsh. This is problematic for the Detroit Lions and their new head coach, Matt Patricia. Because certain kinds of coaches are easier to emulate than others. Walsh nurtured the most fertile coaching tree in football. Walsh, the 49ers legend, was a teacher. Lombardi, the Packers’ icon, was a motivator. Walsh invented the West Coast offense. Lombardi invented a persona, and set the expectation for what a football coach should look and sound like. Belichick, meanwhile, cut off his hoodie sleeves and invented the football coach as disheveled genius. A soft-spoken, monotone-droning enigma, part savant, part seeker, driven by a championship vision that has yet to translate to his understudies. No wonder his assistants flail when they step out of the nest. How are they supposed to replicate that? Or the five Super Bowls? This week, the Patriots coach joined a conference call with local Detroit reporters and was asked why his assistants struggle. Perfect. Say nothing. Stay focused. But, come on, Bill, can’t you offer up anything? The problem is he doesn’t have a role as much as he has an aura, and it can suffocate those he has tutored. Maybe instead of looking at the failures of Belichick’s assistants, it’s more helpful to look at the failure of Belichick to develop them. Patricia, of course, can still break this narrative. He’s two games into his tenure as the lead man. And as wobbly as that start has been, it’s certainly possible he finds his voice and gets the roster he wants and starts rolling in Detroit. And if he does, we’ll re-evaluate Belichick’s coaching tree. Until then, that tree remains barren, which is why Belichick is more Lombardi than Walsh – or, for that matter, Bill Parcells, the coach who taught him, and whose disciples also include Super Bowl-winning coaches, Tom Coughlin and Sean Payton. Lombardi was the face of the NFL during the league’s rise to cultural dominance. Yet he only birthed a single seedling – Forrest Gregg, who played for Lombardi and led the Bengals to the Super Bowl in 1982. Gregg lost that Super Bowl to … the San Francisco 49ers, coached by Walsh. If Belichick’s coaching tree is a Joshua, then Walsh’s is a redwood. He is responsible for, among others, Mike Holmgren, George Seifert, Jim Fassel, Dennis Green, Mike Shanahan, Jeff Fisher, Brian Billick, Jon Gruden, Mike McCarthy, Andy Reid and John Harbaugh. In total, his coaches have made 13 Super Bowls and won eight of them. Walsh, you may recall, also won three Super Bowls himself. But for all the reverence heaped upon Walsh during his heyday, it doesn’t compare to the myth surrounding Belichick. The Patriots coach is regarded by some as the best coach ever, in any sport. And though it’s easy to point to his quarterback, Tom Brady, as the reason for his success, there remains mystery to what Belichick has been able to do. That may not sound like much. And if it were any other football coach, you’d roll your eyes. But if you’re looking for a way to articulate the magic of Belichick’s reign, it can be found in that quote: it’s never about anything more than week-to-week, incremental gains. Based on a radical kind of unpredictability. 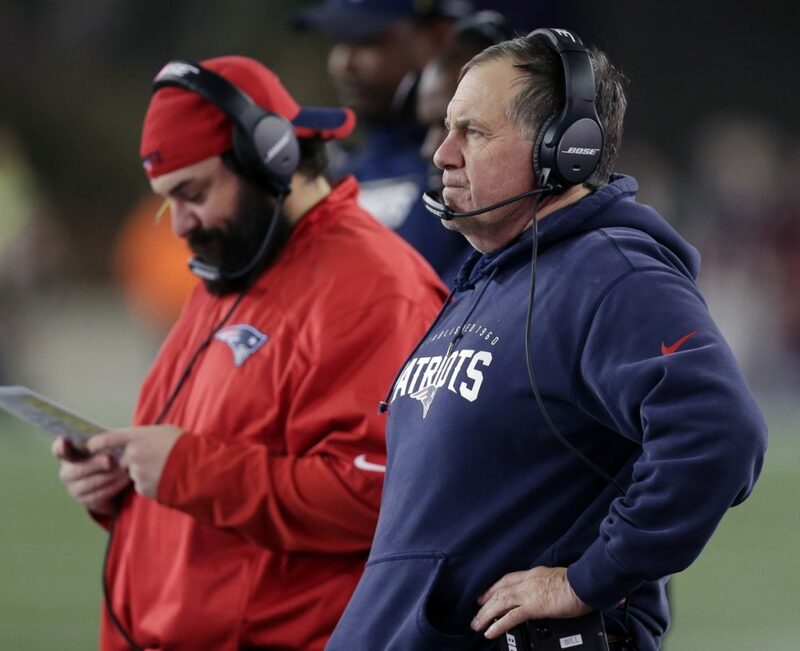 Duplicating a style built upon unpredictability is like recreating a Jackson Pollock, as Patricia is finding out here, where he is adopting chunks of the Belichick program – extra running, conditioning, long practices – without his former boss’ vision. This, more than anything, other than the lack of Brady’s services, is why Belichick’s assistants consistently struggle outside New England. They try to be him. Yet don’t see like him.